Last December, Elon Musk tweeted something that—like a lot of his tweets—seemed like a joke. 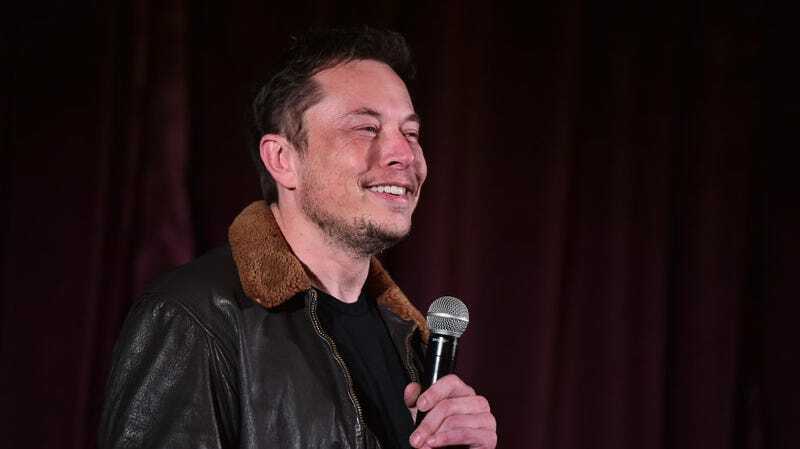 He said that after his SpaceX off-shoot enterprise The Boring Company had successfully sold 50,000 hats, it would start selling flamethrowers because “kids love it.” A couple months later, people realized how serious Musk was as The Boring Company Not-A-Flamethrower pre-orders went live, immediately sold out, and raked in $10 million dollars in revenue. Now, for the first 1,000 buyers, the wait for literal firepower is over. Just in time for California fire season. The finished product is about as rad as one would expect. Though it looks more like it should be firing lasers on the set of some sci-fi movie, the propane-fueled gun spews a column of flame that can be used to roast marshmallows or caramelize a crème brûlée. Presumably you can burn non-food items as well. But, as the name suggests, Musk wants to be clear that the Not-A-Flamethrower is not a flamethrower. This is more of loophole for shipping purposes than anything, but the terminology doesn’t seem to bother any of the happy customers. They all seem fairly stoked to be wielding a fire gun in the middle of a parking lot. Browser extension helpfully changes "Elon Musk" to "Grimes&apos;s Boyfriend"